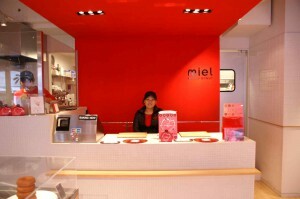 Miel is one of our favorite doughnut shops in Japan. Not fried but baked doughnut is very soft and tastes like homemade. So literally, each one is made by hand. Generally, we tend to have an idea that females like sweets in Japan, but here, in miel, there are a lot of male’s doughnut lovers. 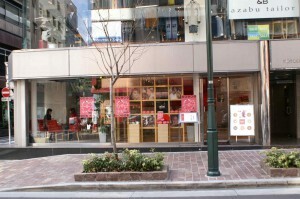 Ginza is famous as both tourist spot and business district. So a lot of foreign visitors and workers come to miel and have some sweet time. Other than this shop, there are several branch shops around Tokyo, such as PRINTEMPS GINZA, Yokohama, and Haneda international airport. In addition to several regular doughnuts, they offer seasonal flavor one irregularly. 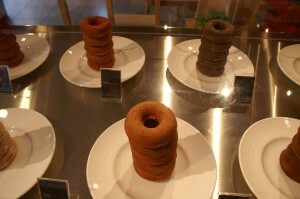 For example, in this season, they have special chocolate flavored doughnut for St. Valentine’s Day. Doughnuts sold at the shop are only for taking out though, there is also café here in Ginza and you can enjoy sweets there. 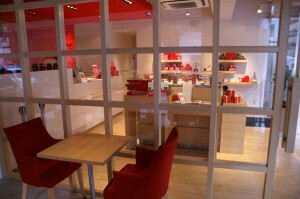 Here’s a message from the manager of miel, Ginza. Isn’t it nice? Sweet doughnut and smile will welcome you!